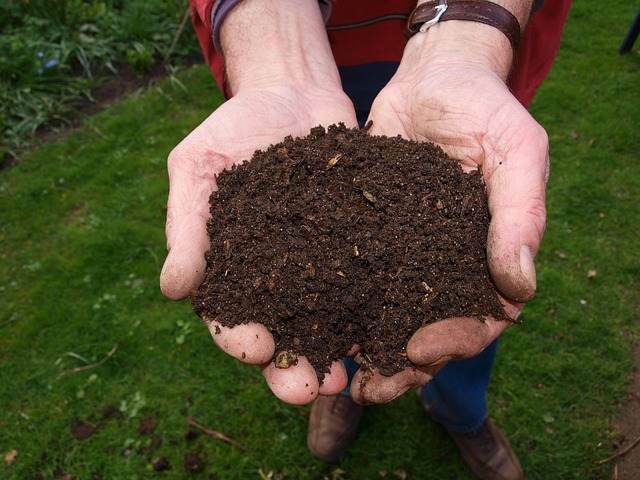 Having a compost pile is key to growing a productive garden. Starting a compost pile from scratch is often seen as daunting and people don’t know how to build a compost heap, so many people just avoid it for fear of ‘doing it wrong’. Compost has so many benefits for the garden, I really encourage you to get composting in your yard too. There is a huge range of ways to build compost piles, and with the following tips, you will have your own successful pile in no time! There are several methods in constructing a compost pile, pick one from the three below that will work best for you. 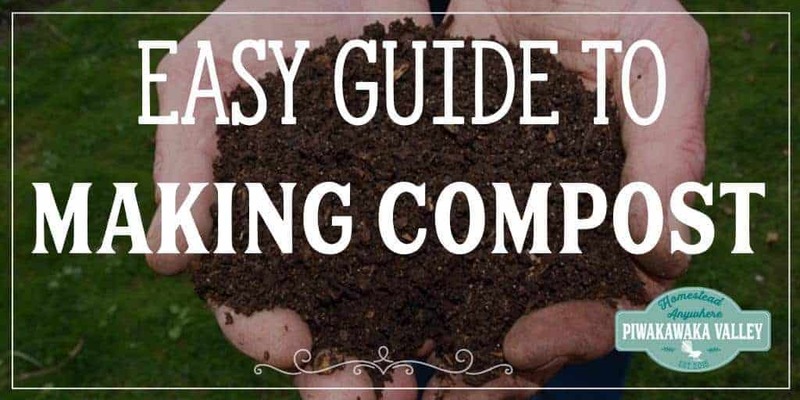 One of the easiest ways of composting is one I learned from my Grandfather. He had an amazing garden and always had a trench running down it. He would simply add the days scraps to one end of the trench and then cover that part with a good layer of soil. The next day he would add the scraps to the next portion along the trench. When the trench was full, he simply dug another one right along side the last one. In this manner he would work his way all over the garden. Once he reached the far side, he simply started again on the other side. The only real limit was it was really only for smaller volumes of vegetable scraps. A purchased bin, usually made of plastic. T posts in a circle or square then wrapped in wire mesh. Bins built out of pallets or fencing rails. 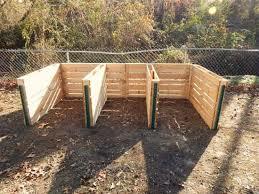 I like the pallet compost bins. Why? They are cheap (or FREE) and they can hold a fair amount of material in them and they have gaps in the side allowing for airflow. We have a lot to compost, as our animal houses are all lined in wood shavings, and I like to compost the shavings and poop before adding them to the garden. Side note: If you looking in to Karl Hammer, he raises chickens on his compost piles, and we are hoping to set up a similar, albeit much smaller, set up. You can tie all the corners together with hay bale twine, and put stakes or metal T posts in the front corners to sure it up, and make it easy to remove the front pallets when you need to move the contents without it falling apart. 1 The bulk is closer together so you benefit from the size of a larger pile – the larger mass heats up faster and stays hot longer, this speeds up the decomposition. 2 The piles are nice and close together when it comes to turning the stack. 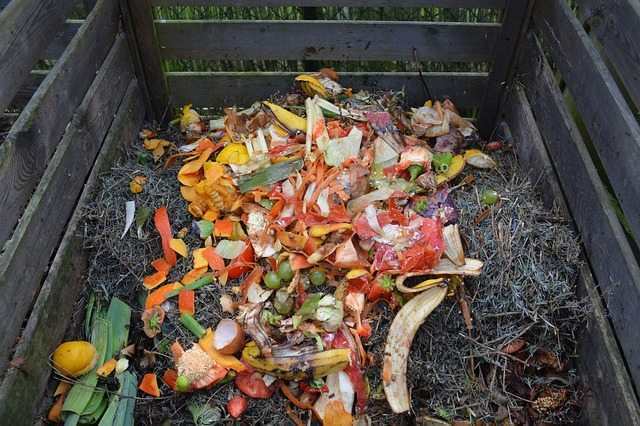 Compost benefits greatly from the air that gets in from turning it, the more you mix it the more air that gets in so the faster it breaks down. To give it a thorough mix, throw it from one bin over to the next. 3 It uses less materials to build and takes up less space in your yard. You can buy or make a compost tumbler. It is simply a barrel on a stand with an axle and a handle that allows you to spin the barrel to aid in mixing the compost. They create compost faster and easier than a pile due to all the mixing, the only down side is they are kinda small for homestead use but they are perfect for 2-4 people’s general waste. You will need a source of ‘brown’ carbon and of ‘green’ nitrogen materials. “Greens” are nitrogen-rich, tend to contain more moisture, and break down faster. “Browns” are carbon-rich, contain less moisture, and take longer to break down. Anything that was originally in an animal – meat, bones, dairy and eggs (shells are OK but you will need to crush them). These things will make your pile stinky and attract pests. Diseased plants or wood – these will not likely be destroyed in you home pile, and you risk spreading the disease. Weeds with their seed heads attached – same problem as the potatoes. It is not as tricky as some make it seem – you simply stack them in your chosen compost bin/pile/trench. There are lots of ratios floating around, but basically if your pile is wet and stinky you need to add more browns, if it is dry and slow to decompose add a few more greens. A ratio of at least 3 times as many browns as you have greens is a recipe for success. So for every shovel or bucketful of greens, sprinkle in 3 of the same measure of browns. The reality is most homes produce waaaayyyy more greens than browns and you may have to get creative about finding brown sources. Try your local council, you will probably be able to get tree mulch from them. Fall leaves are another great source of browns. When compost is hot and the pile is moist and has a good ratio of carbon to nitrogen, a 12 week decomposition is possible. But outside of those parameters, it may take up to a year. If it is very wet and rainy where you are, your pile will benefit from a roof over its head and a layer of sticks or a pallet underneath it to aid in draining. If the pile gets very dry, give it a water. It needs to be kept damp but not soggy to keep the microbiota that breaks down the pile alive and thriving. Turn your pile weekly for the first month, then monthly for the first season, then once a season until it is ready. How do you know it is ready? You will have a dark, sweet smelling, crumbly magical soil mix. Do you have a compost pile at your place? Tell me about it in the comments below!